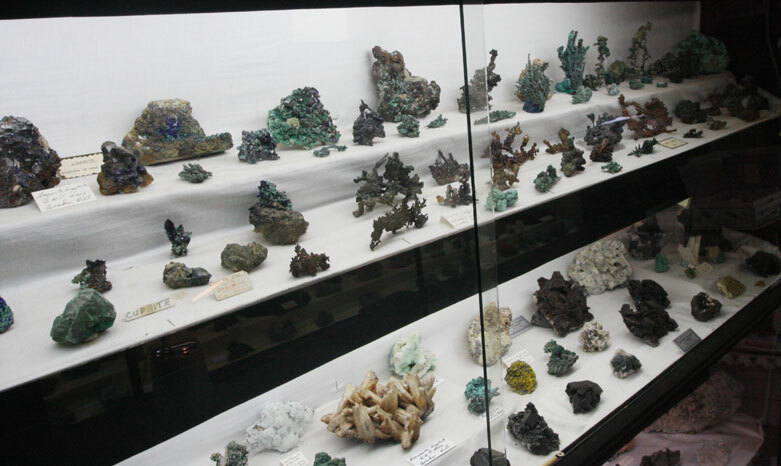 Craig Roberts unearths an overlooked tourism gem in Broken Hill – a rock collector with a mineral display to rival any in the country. Without being pushed into the role, artist Howard Steer has seemingly taken over as unofficial Godfather of the Broken Hill Arts Community. He has taken it upon himself, not unlike his old friend Pro Hart, to promote everything the region has to offer. This includes non art-related attractions. Sometimes the best things you find are not the ones you were looking for. It’s Howard who put us onto this one. Unlike Howard, Milton Lavers is no artist. Nor is he a country singer. He doesn’t catch snakes with his teeth on TV. He just collects minerals. Crystallised minerals. Amazingly, this man is not even on the radar of the local tourism office. 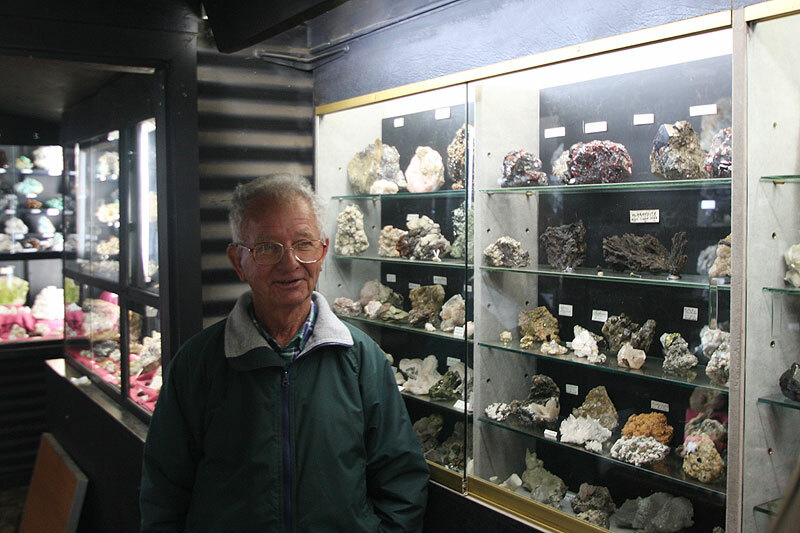 Milton built the display to help foster a better understanding of Australia’s natural heritage and will gladly show them to anyone with a keen or even passing interest in minerals, geology or science. It’s a love, not a job. He doesn’t charge a single red penny for the privilege to come, look and listen. All he asks is that you call first to make sure he’s home. His all-consuming knowledge was learnt on the job, having spent 30 years underground as a member of a water filling gang. Learning what all the minerals are, how they were formed, and of course their value, was “like learning a language”. Unfortunately, despite Morby’s hands-on policy, that natural heritage is being lost. Today, vast underground mechanisation sees the raw crystal samples simply being blasted, crushed and processed before humans can lay eyes on them. Once you’ve dropped by, Milton is ever eager to start gas bagging about the science of crystal formations, the history of extraction, the discoveries and all the shenanigans from deep within the mines. 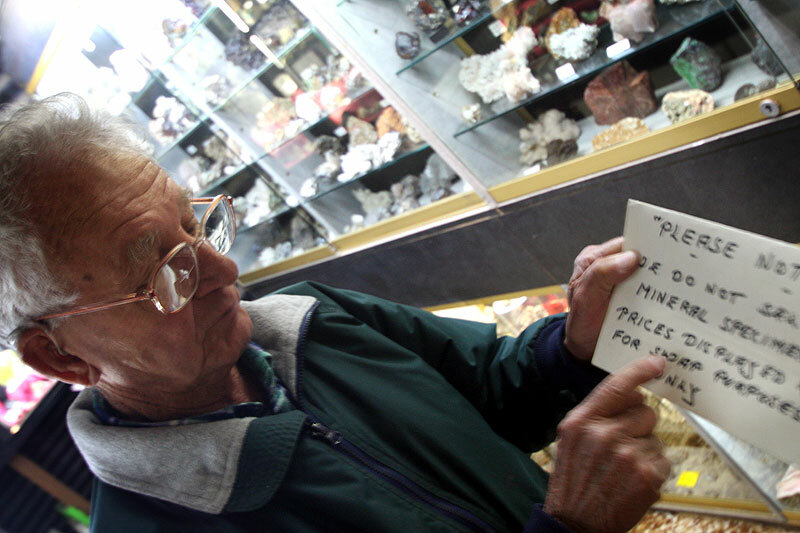 His tales are not just about the crystals, but Broken Hill itself. These stories of life in the mines gives an unsanitised insight into the bygone era of mining, the people and attitudes that populated the town, and the techniques and policies of the companies involved. Milton will also welcome a chat on botany. 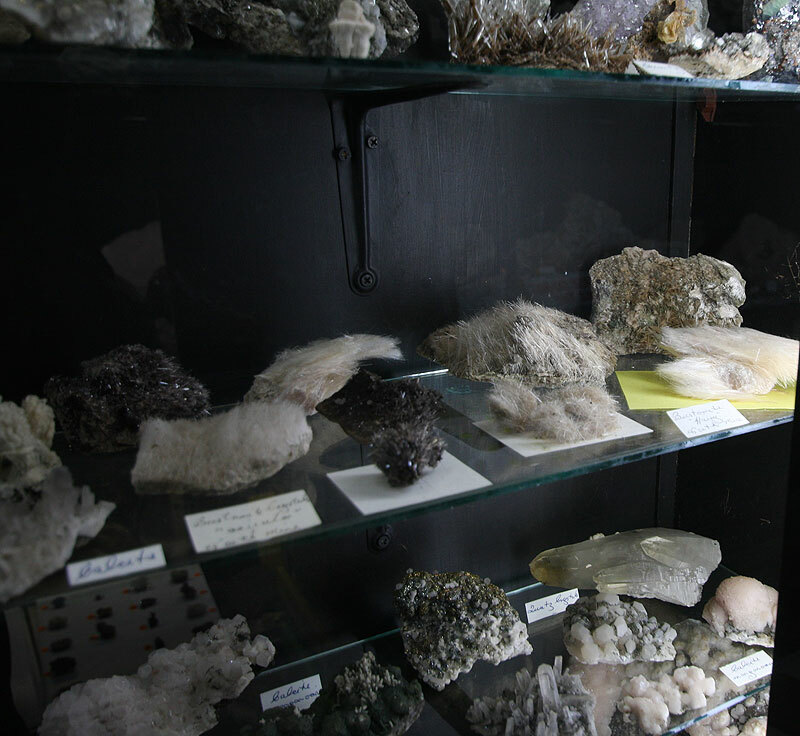 DETAILS // Milton Lavers’ Backyard Mineral Museum, (08) 8088 2879, 687 William St, Broken Hill North. Just remember to call first, Milton might be out. 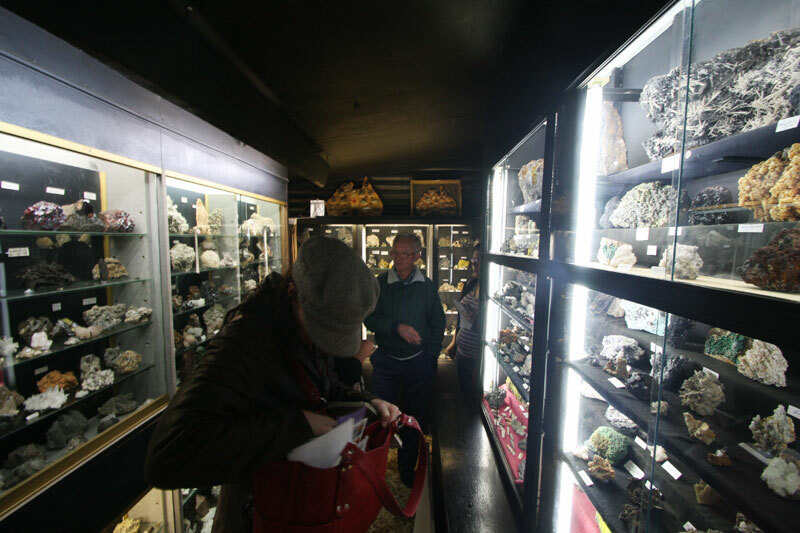 HAVE YOUR SAY: Even if you haven’t visited Milton and his marvellous minerals, perhaps you’ve come across another great overlooked tourism gem? Sign in for free to the AT Website and post a comment on your favourite undiscovered character or location.